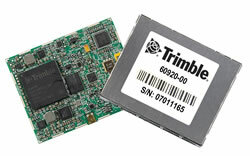 Trimble has introduced the BD935-INS module that combines a multi-frequency, multi-GNSS receiver with an integrated 3-D microelectromechanical systems (MEMS) inertial sensor package. 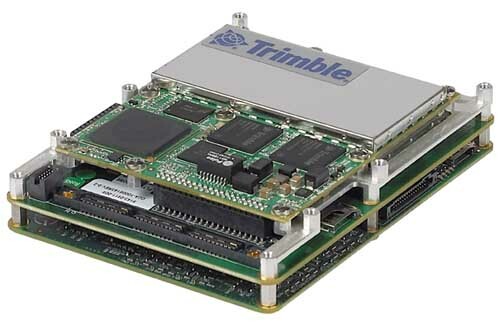 As part of Trimble’s GNSS OEM portfolio, the new compact module augments real-time precise positioning with 3-D orientation, connectivity, and configuration capabilities designed to enable system integrators and OEMs to add GNSS and attitude to specialized or custom hardware solutions. The announcement was made yesterday (May 6, 2015) at the AUVSI’s Unmanned Systems 2015 Conference and Exhibition, the largest international event in the unmanned systems and robotics market. 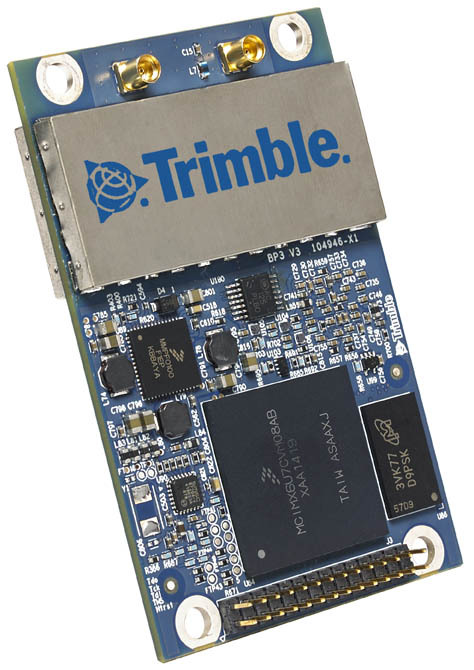 The Trimble BD935-INS module has been designed for applications requiring both real-time kinematic (RTK) positioning and orientation in a compact package. By integrating inertial sensors onto the GNSS module, users can experience more robust performance in a variety of challenging environments, Trimble says. The BD935-INS features triple frequency for both GPS and GLONASS constellations, as well as dual frequency for BeiDou and Galileo. The module delivers fast and reliable RTK initialization for 1–2 centimeter positioning, according to the company. For applications that do not require centimeter accuracy, the BD935-INS integrated GNSS-Inertial engine delivers high-accuracy GNSS and differential GNSS positions in challenging environments, such as urban canyons, tunnels, heavy canopy or other GNSS-denied environments. "The OEM and system integrator communities demand high performance, reliability and support for their positioning solutions," said Dale Hermann, general manager of Trimble’s Integrated Technologies Division. "The Trimble BD935-INS delivers the latest GNSS and inertial technology in an easy-to-integrate form factor for demanding conditions and applications such as lightweight robotic or unmanned vehicles. With the BD935-INS module, customers are purchasing a robust navigation solution, extending performance beyond that of a GNSS receiver only." Trimble also announced the new BX935-INS, which is an environmentally rugged enclosure for OEM or system-level integration. The BX935-INS houses the Trimble BD935-INS module for easy installation and immediate access to high-rate position and attitude data for a variety of applications. The Trimble BD935-INS and BX935-INS is expected to be available in the third quarter of 2015 through Trimble’s Integrated Technologies Precision GNSS Sales Channel.